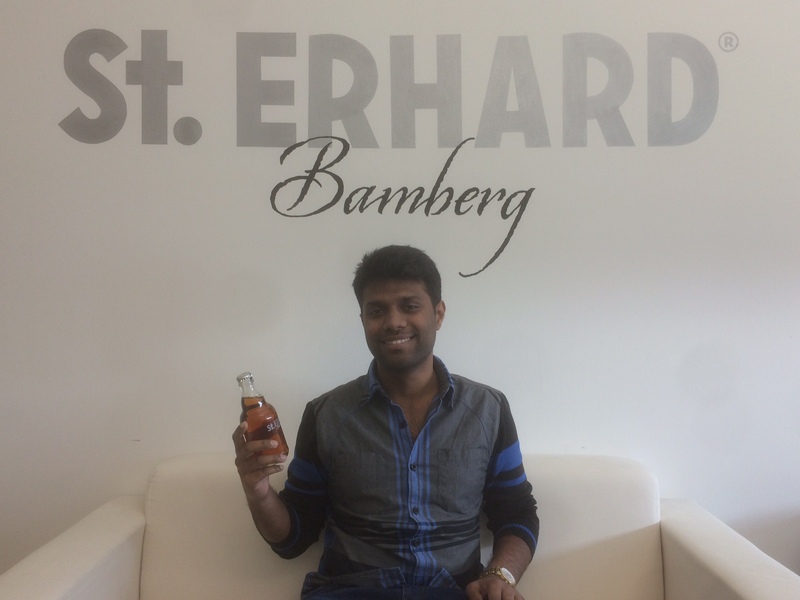 I am Nishanth Manoharan and I will be starting my internship here at St. ERHARD in Bamberg. Even before arriving to Germany as a student I was fascinated by the beer culture of Germany and had the desire to taste good German beer. So I had no hesitation when I had the opportunity to apply for an internship position here at St. ERHARD. I am a student of the Hochschule Hof where I am pursuing my MBA (German Indian Management Studies – GIMS) which focuses on the intercultural aspects of the two countries regarding trade and a company like St. ERHARD with its Indian connections felt best suited for me. Despite the huge difference in how beer drinking is perceived from where I come (Tamil Nadu, India) the love for beer is unquestionable. Also the fact that St. ERHARD is a start-up company gives ample scope for me to learn and perform in a mutually beneficial way.